What I learned from Clarence or how I am going to do these #52Ancestors posts. I cannot write a biography for a different ancestor every week. There are too many steps I feel I need to do to in order to prepare to write a biography and yes, I get bogged down in the details. Particularly in the case of Clarence. He had a lot going on in his life and I want to be sure I treat him correctly. The good news is that I am getting reorganized and I have renewed my commitment to printing everything out for genealogy coffee table books (ala DearMyrtle). I love me my coffee table books! More on that next week! 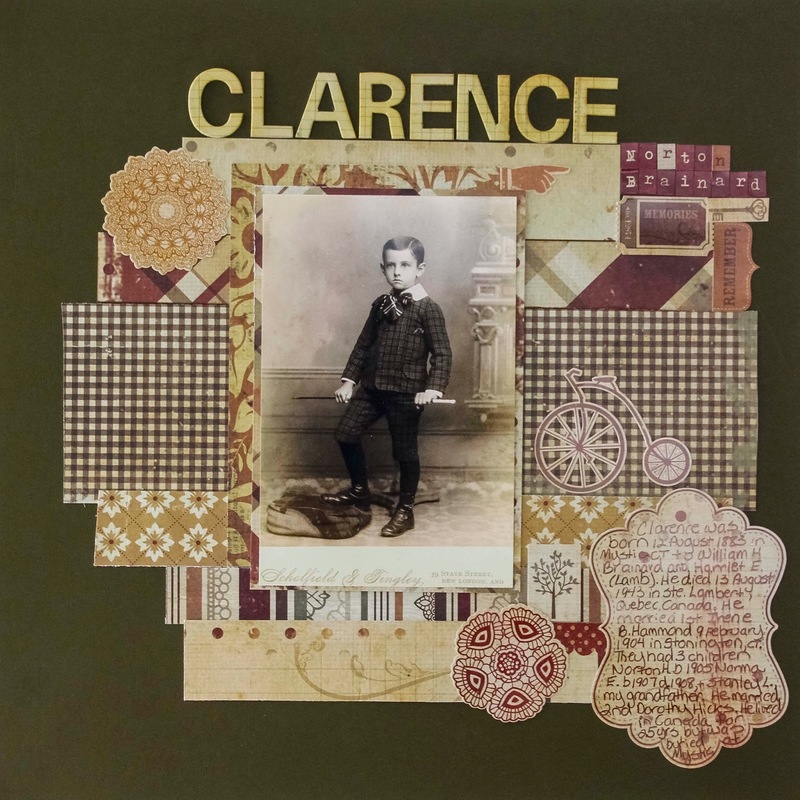 This week I have completed a nice scrapbook page for my ancestor Clarence Norton Brainard. It was what I felt able to do for him for now. You will find it at the end of this post. I am so happy that I have already made four new pages for my ancestry scrapbook this year. It's a good feeling knowing that I have created something that others will enjoy! 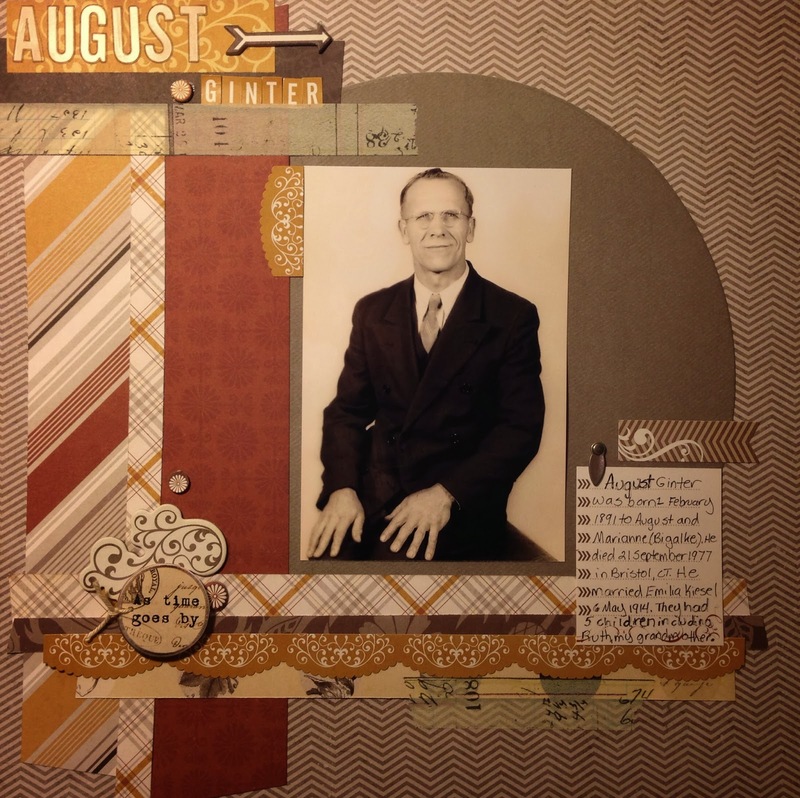 Before I show you my new scrapbook page, I would like to share my process for getting ready to either write a short ancestor biography or create even a scrapbook page in their memory. Download/label documents not showing in computer folder. Attach citations. Do another quick search and look for any obvious holes in ancestor's timeline. Print all documents in folder along with citation forms. File pages by date in ancestor's binder. Check citations. Redo if necessary. Review timeline and look for any holes in research. Are there new sources or newly discovered sources to check? Review each source in date order. From each source document, write the facts (just the facts for this purpose) together with a link to the citation (end notes for this). Print a photo of my ancestor. 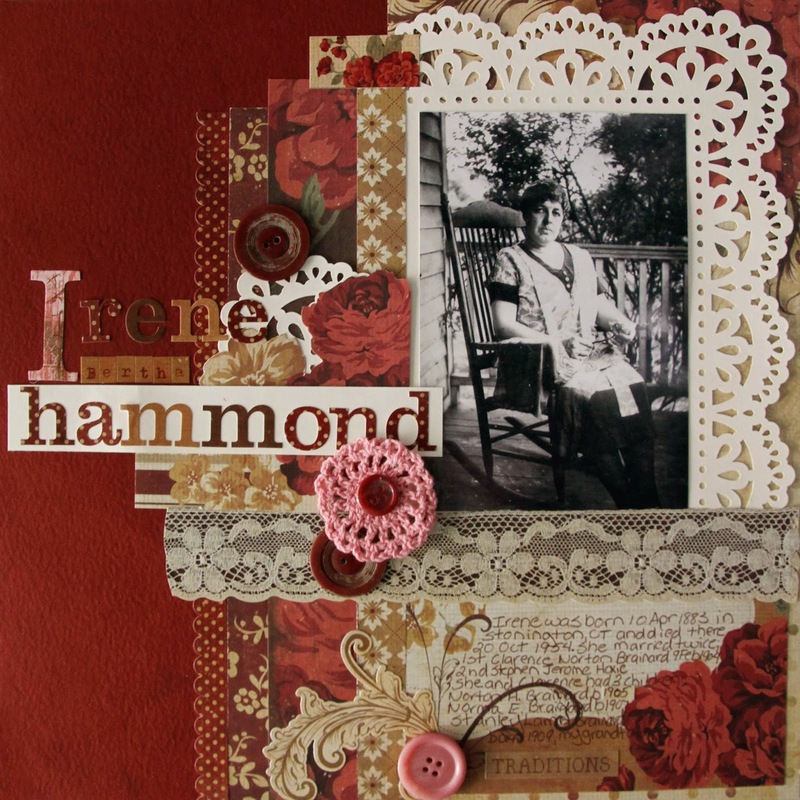 Combine photo with heritage papers and embellishments. Add full name and pertinent facts; birth, death, marriages, children. Photograph page, edit in Lightroom and upload. Still struggling with best way to get from my computer program to Blogger and keep my formatting. For now I am copying and pasting. This is a lengthy process! Even if I could devote 100% of my time and energy to writing these posts, I would still struggle to create a new biography every week. How do you do it?